"You want fries with that?" That is their catchphrase. The only highlight of their working day is encountering the one in every 170 American customers who declines. The plight of the fast food chain employee in the USA has been highlighted by a one-day strike by 400 workers protesting at their work conditions. 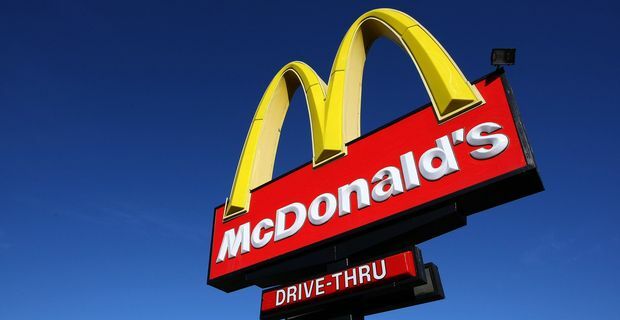 The term "McJobs" was coined by Canadian writer Douglas Coupland back in the last century, long before this form of employment, temporary, lowly-paid, with few statutory rights or job protection, became commonplace for young workers across the western world. The US workers were demanding the right to join a union, or form their own, without intimidation from management, and asking for a living wage of $15 per hour. It seemed like a quixotic demand given that many fast food workers are paid about half that. Their chant was "we cannot survive on seven twenty-five," referring to the $7.25 average hourly wage fast food employees are paid in New York, one of the world’s richest and most expensive cities. It is the federal minimum wage and employers are stubbornly resistant to paying more. Many service industry employees like waiters and barmen are paid a very low hourly rate in the USA because they are expected to make up their earnings in the form of tips. Fast food workers are not usually on the receiving end of this largesse, so struggle to make ends meet. For first-generation immigrants and those without educational advantages, fast food work is one of the few avenues into employment. Fast food chains are highly profitable (helped substantially by their low wage bills), constantly expanding and in regular need of cheap labour. The US National Restaurant Association offered a less than convincing appeal on behalf of the shareholders: "The industry provides more than 13 million jobs that could be jeopardized if the minimum wage goes up." In short, settle for a pittance or you are out of a job. In the UK the minimum wage is marginally closer to a living wage, but fast food and coffee shop chains are increasingly attempting to trim their wages bills, in much the same way as they have succeeded in trimming their tax bills.